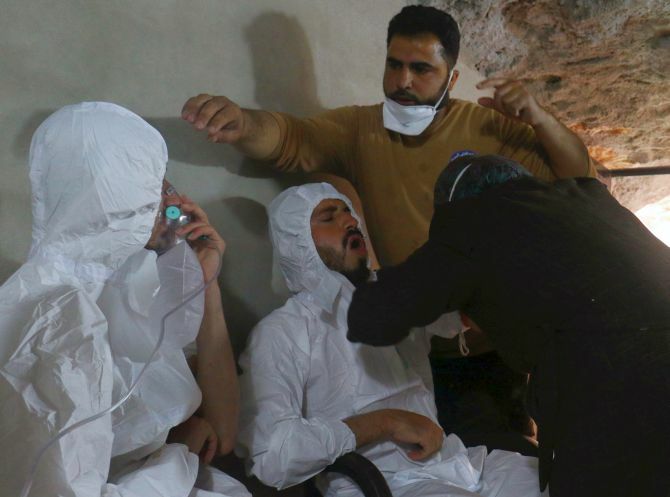 The death toll from a suspected chemical weapons attack on a rebel-held Syrian town has risen to 72, 20 of them children, a monitoring group said on Wednesday. 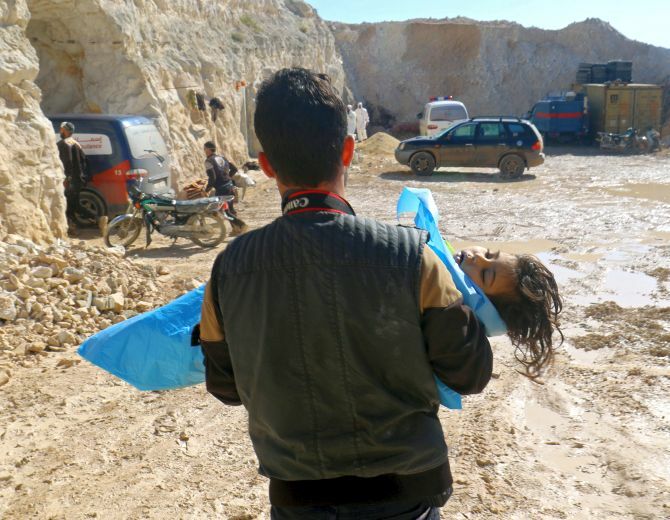 “There were also 17 women among the dead and the death toll could rise further because there are people missing,” the Syrian Observatory for Human Rights said. 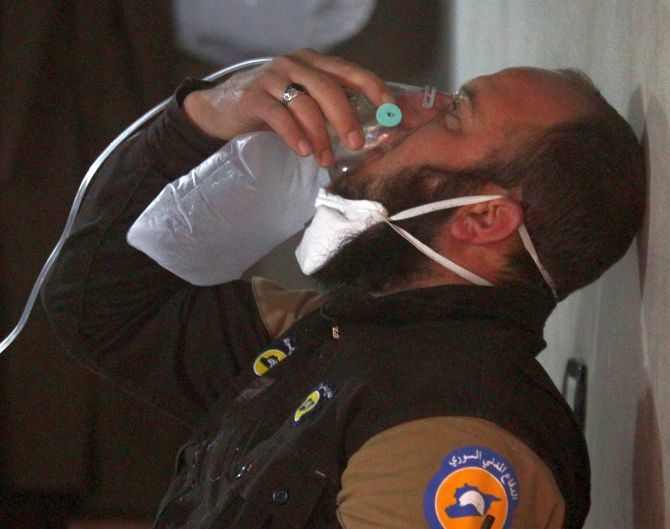 The Syrian Observatory for Human Rights had said those killed in the town of Khan Sheikhun, in Idlib province, had died from the effects of the gas, adding that dozens more suffered respiratory problems and other symptoms. 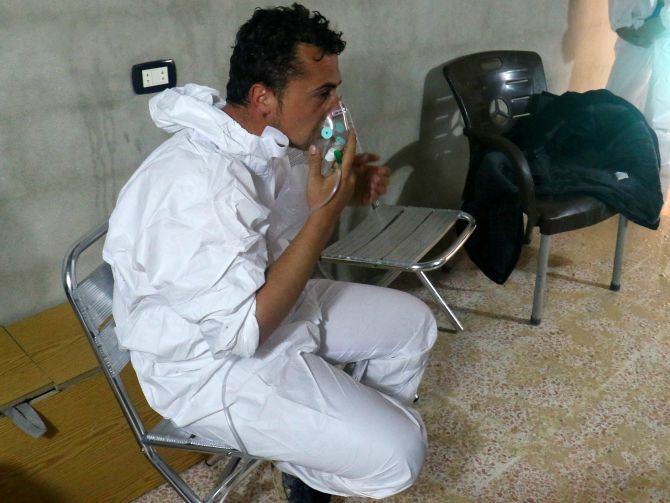 Doctors treating victims at makeshift hospitals in the area say dozens of victims are showing signs of sarin poisoning, including foaming at the mouth, breathing difficulties and limp bodies. Syrian opposition activists have claimed the chemical attack was caused by an airstrike carried out either by the country’s president Assad’s forces or Russian warplanes. Russia’s military said its planes did not carry out any strikes near the town. US President Donald Trump said Tuesday that former President Barack Obama's administration is to blame for the suspected chemical attack in Syria. "These heinous actions by the Bashar al-Assad regime are a consequence of the past administration's weakness and irresolution. President Obama said in 2012 that he would establish a 'red line' against the use of chemical weapons and then did nothing," the president said in a statement.